Windsor House Antiques is located at the Ground Floor inside the Furniture Cave. 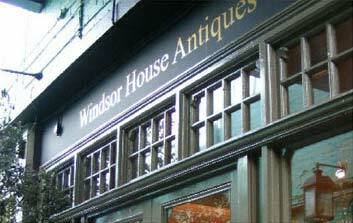 Windsor House Antiques is one of Britain’s most well-known antique businesses. Established in 1957 by Mr Kevin Smith, the chairman and owner, the business has developed into an International Company staffing showrooms specialising in Period furniture, Lighting, Painting, Sculpture and Object d’Art. Now with London showrooms within the Furniture Cave we look forward to welcoming you.